When I first heard about the Essie Encrusted Treasures collection, I was intrigued. Some of the polishes scared me, and some flat out stunned me. 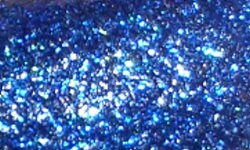 I couldn't resist this next one because, it's blue and sparkly. That's a good enough reason...right? 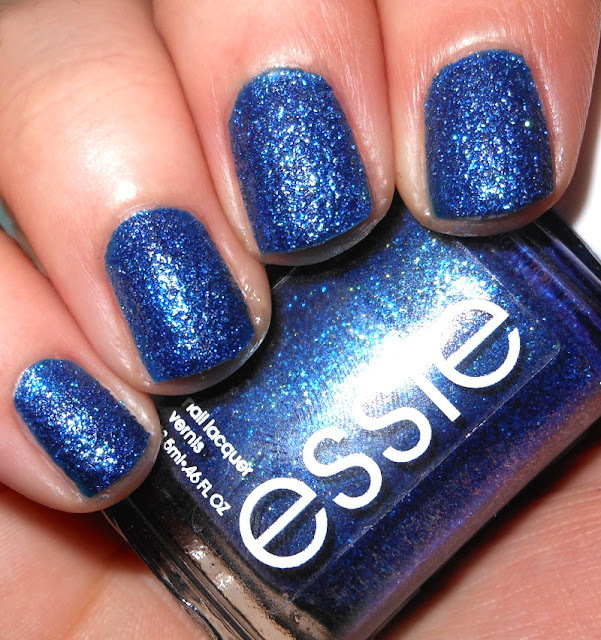 Essie Lots of Lux is a textured royal blue glitter. Color: This is one of those polishes that looks better on the nail than in the bottle. This looks awesome in the bottle though, and even better on the nail. The blue is rich and saturated, and it has little tiny specs of gold on there too, that make it really pop. Formula: Awesome formula here. You could probably get away with one coat if you wanted, but I went with two for good measure. I will warn you though, good luck making this one shiny. This eats top coat in milliseconds. I tried to take pics of it with top coat, but it completely ate my top coat before I could get a photo! Price: I got this for $8.50 at CVS. Overall: Great royal blue textured glitter polish. The color is rich and the formula is great. I do wish I could of tried it with top coat, but it probably would of taken 3-4 coats! I really love this one! :) Is it similar to Zoya Liberty? I haven't seen this one before. It's a nice color. PRETTY! This shade of vivid blue looks great on you Steph :).